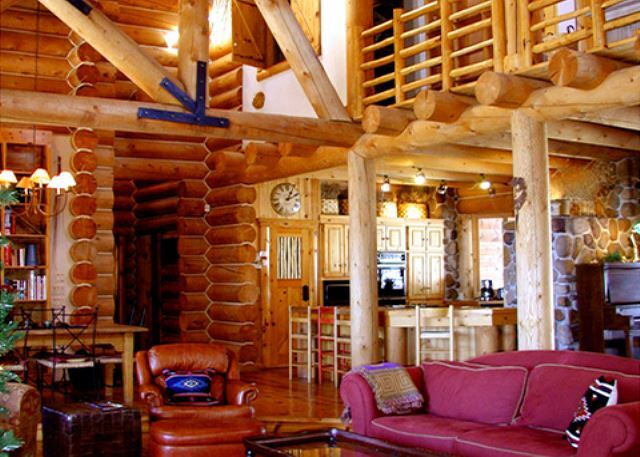 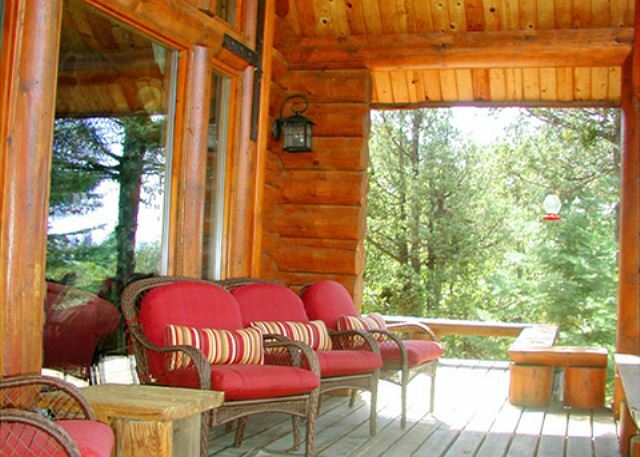 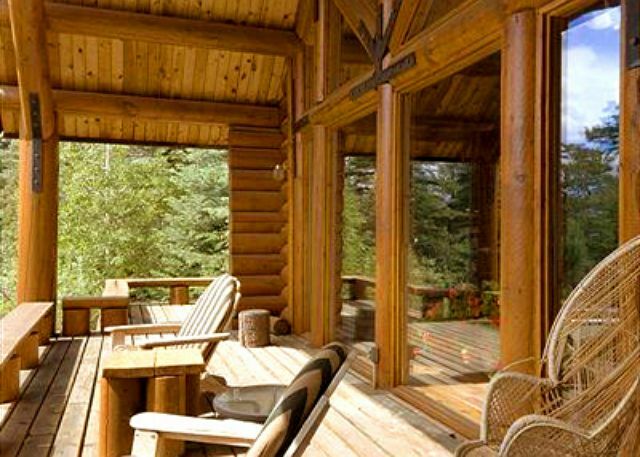 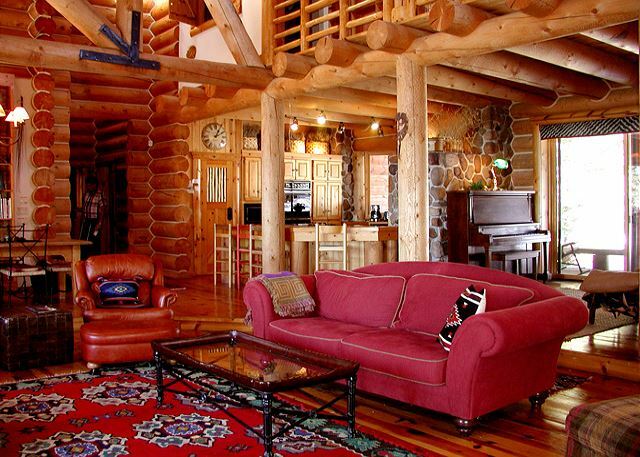 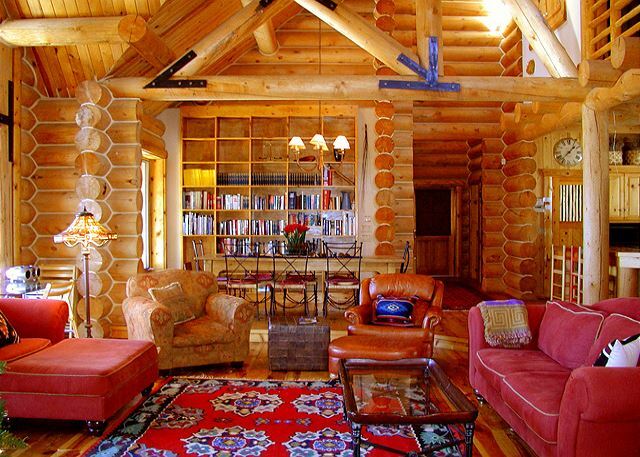 The El Salto Log Home, Taos, New Mexico is nestled in a most private setting in the wooded pines in prestigious El Salto. 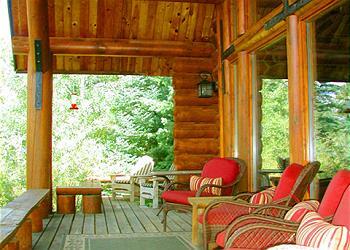 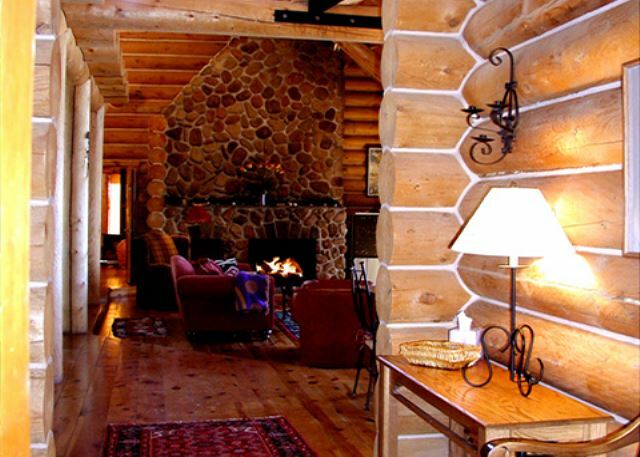 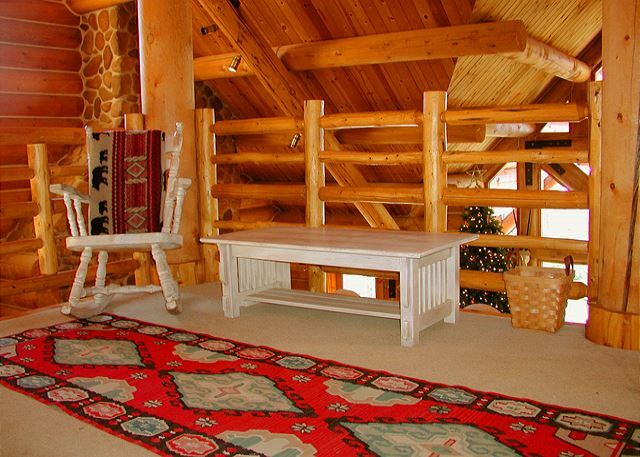 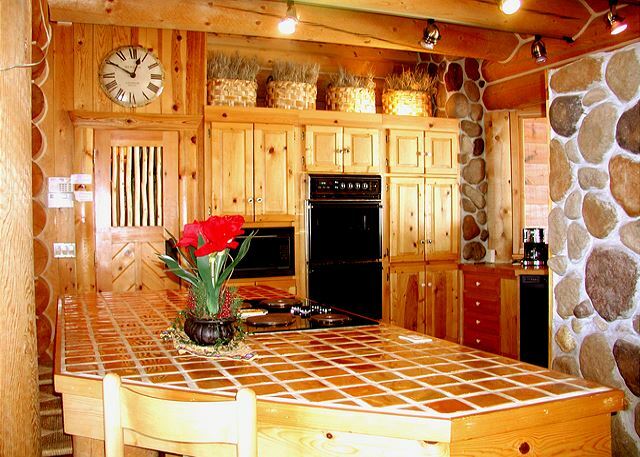 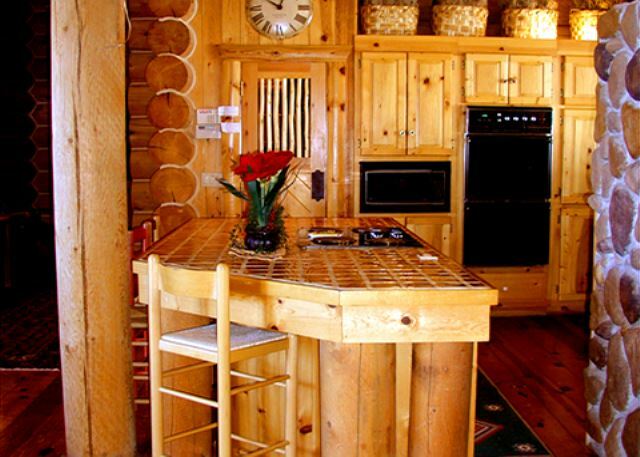 An upscale custom designed and built solid cedar log home offers vacation and sleeping flexibility by renting it along with the optional guest house and the former caretaker cabin. 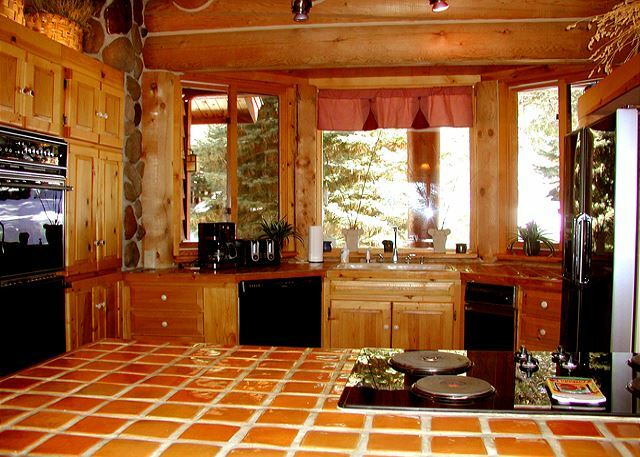 The large open great room with gourmet kitchen means the chef is never lonely as guests have the opportunity to offer culinary advice or have ample room to spread out and commune with the rest of the party. 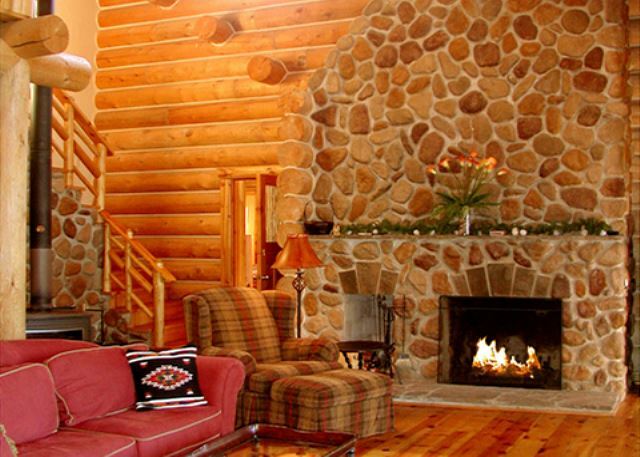 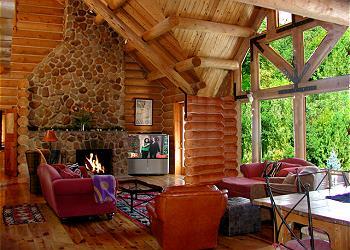 The huge two story river rock fireplace is central to the fabulous ambiance of this amazing home. Of course, firewood is provided. The King master bedroom has awesome sunset views of the Jemez mountains and a large master bathroom with separate tub, stall shower and double sinks. The twin bedroom has its' own private bathroom and the Queen bedroom has its' own bathroom unless guests occupy the Loft . 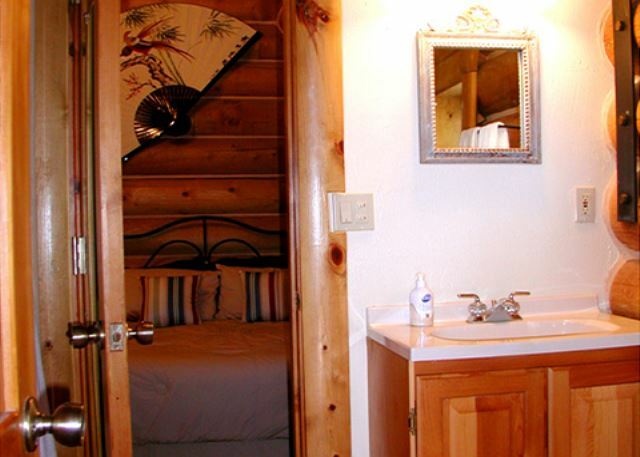 Loft guests also have the option of using the half bath downstairs during the night. 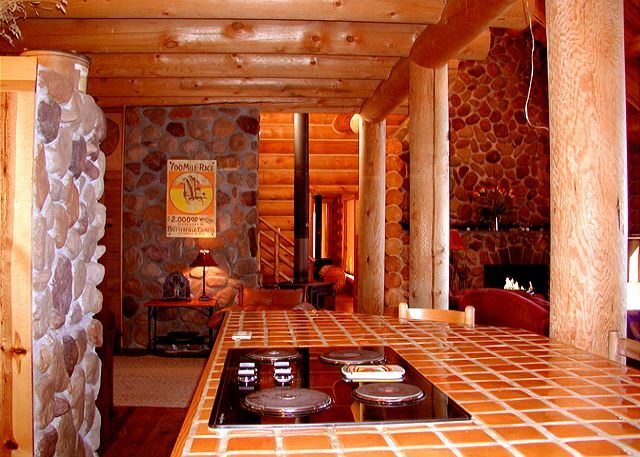 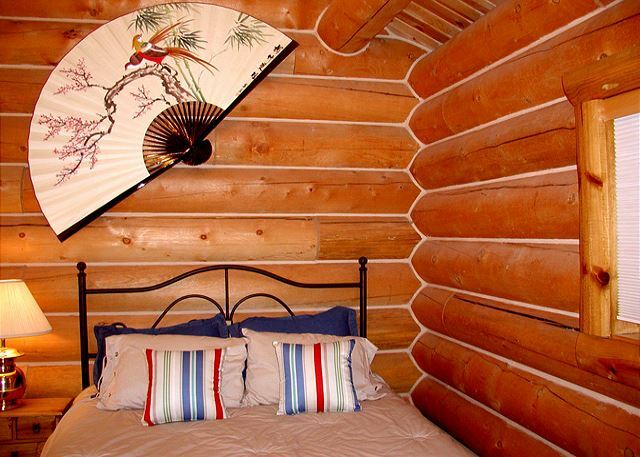 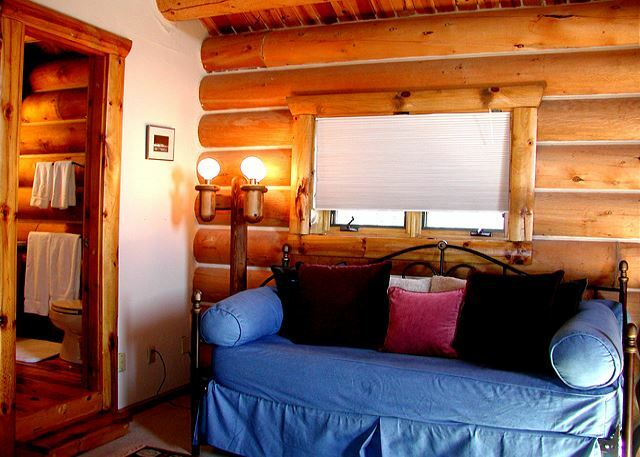 Located at the end of the line there is no through traffic ensuring absolute serenity and quiet in this rare find Taos luxury vacation rental ski cabin or summer log home. 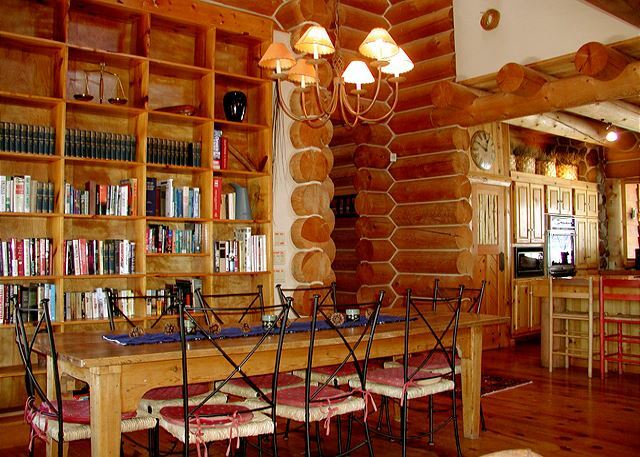 The Taos El Salto Log Home can be rented with or without the optional Guest Cabin and/or additional Privatev Cabin allowing 18 guests. 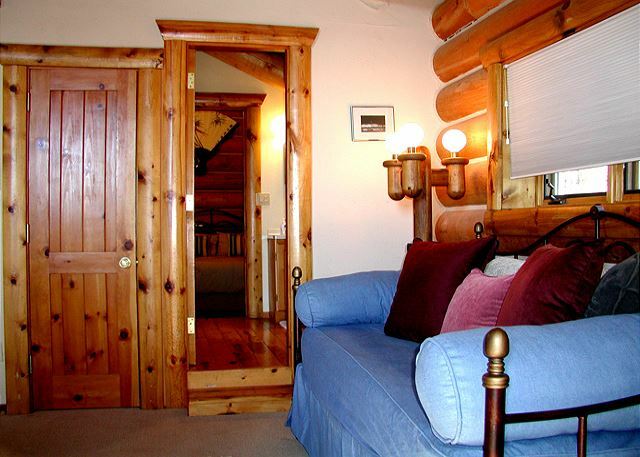 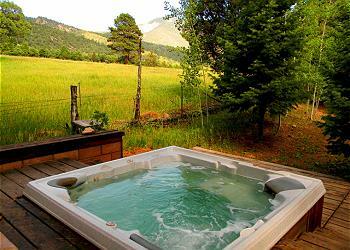 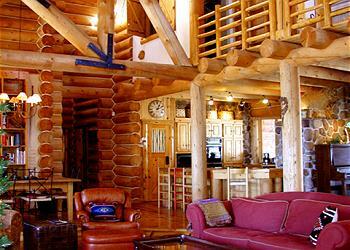 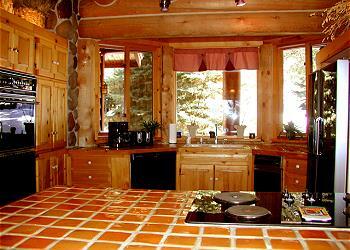 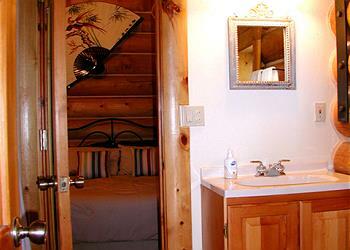 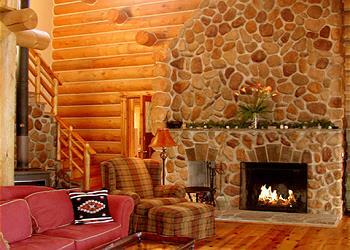 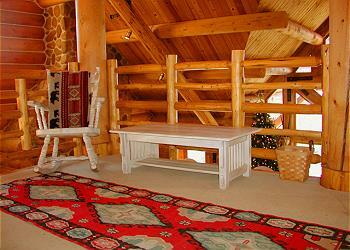 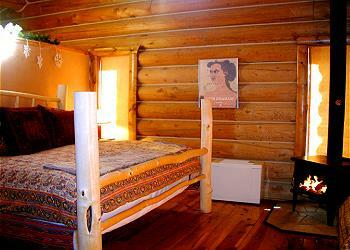 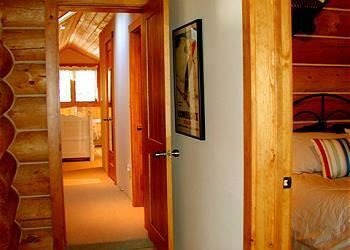 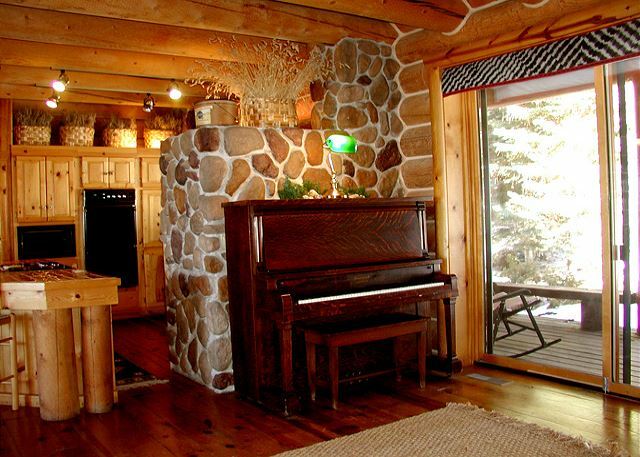 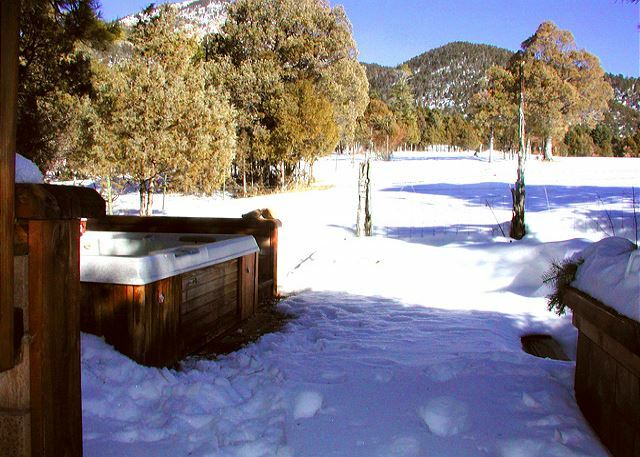 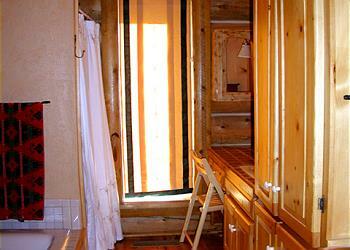 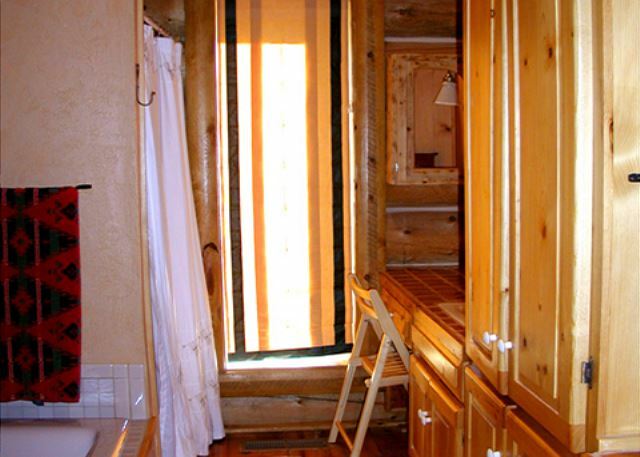 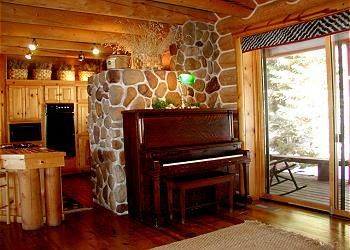 El Salto Compound is one Taos Premiere Properties largest sleeping vacation rentals. It books early for large groups so call well in advance for your Taos family reunion or large gathering of friends.